Noah Makes His Prime Time Debut! You are here: Home / Family / Noah Makes His Prime Time Debut! Cameras even followed Noah to therapy! Noah’s working hard for the camera. To be honest we were uncomfortable with all of the media attention the blog post was getting. This was the first time we had ever been a part of anything like this and to be honest it was a little of scary and overwhelming. The number of phone calls and emails we received from various television producers (many of them very well known) wanting to inquiring about us appearing on their program was mind blowing. It was literally one after the other. It started to get overwhelming very quickly, and we were thankful when things started to calm down. Grabbing a snack before his next interview! As I mentioned, I never imaged the post was going to go viral when I published it and of course we weren’t prepared for the overwhelming number of people trying to contact us. I mean would anyone really ever be ready for something like that? Noah hangs out with reporter Shelly Slater. We were very selective in the number of interviews we did. 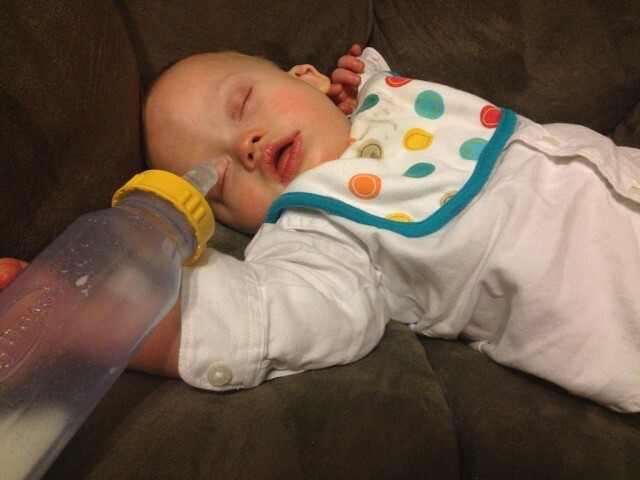 Noah was only 12 months old at this point and we wanted to be sure it wasn’t to much for him. In addition, as most typical american families we have a pretty busy schedule, and had commitments we needed to attend to in the midst of all this. Noah’s Mom talking from the heart. Mom, Noah, and Shelly Slater! However, it was important for us to be good stewards of the platform we had been given to help bring awareness to Down syndrome in general, but more specifically we wanted the world to be aware of the high number of children that are aborted prenatally for no other reason than that there is a chance they could be born with Down syndrome. We knew that stories didn’t last long in the press, and we wanted to be sure used our 15 minutes to help bring awareness to a cause we are very passionate about….LIFE! We had never interacted with the media before, and we learned a lot throughout the entire process; specifically how, umm…. creative the editing process can be. In addition, I’m a talker, and interviews aren’t made for talkers. They’re made for short sound bites (something that is hard for talkers like me!) As we watched some of our interviews we cringed at how some of our comments came across when separated from their original context. Noah hanging out with reporter Fil Alvarado! Since I had such a hard time finding the videos I was looking for, and limited blogs written by fathers who were raising children with Down syndrome, I decided I would start a site that would hopefully be the kind of site I was looking for… for someone else. This is what I was trying to explain to the reporter…. My home office, where all the blogging happens! Fail! This makes it seems like I think our site is only place online where someone can find positive information about down syndrome. Ha,ha. This couldn’t be further from the truth! We were (and still are) new parents. We’re just sharing our story as we go along. We are far from Down syndrome (or parenting) pros! In fact there are thousands of amazing websites written by parents raising children with Down syndrome, not to mention all of fantastic Down syndrome organization websites out there like NDSS and DSE. Noah getting ready to go live! 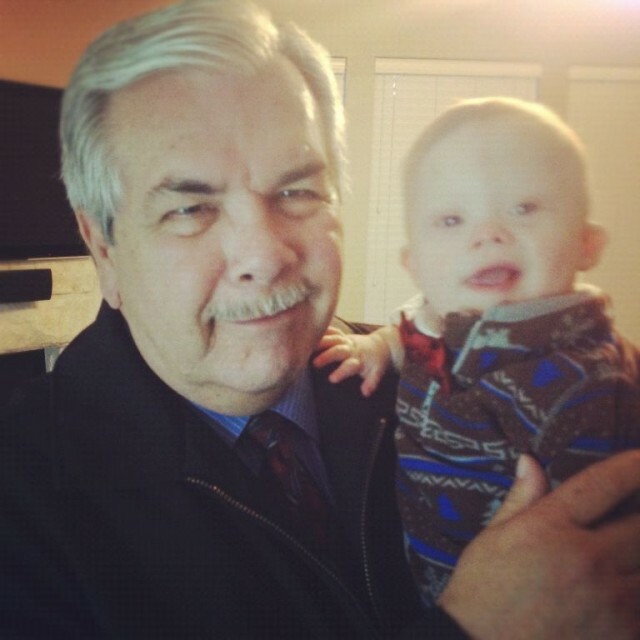 The first baby I’ve ever seen with Down syndrome on TV….Baby Noah! 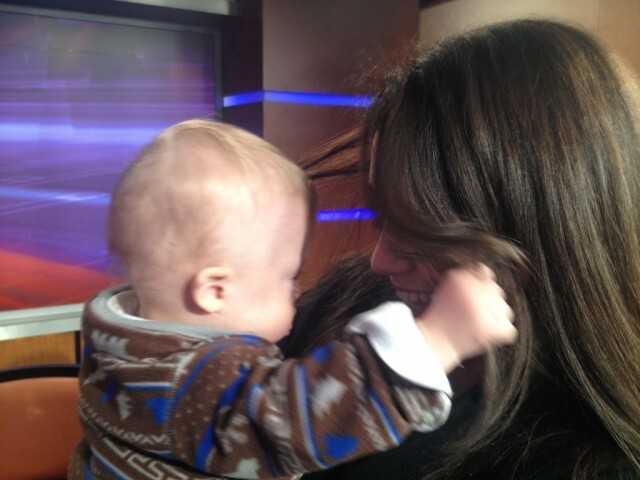 Noah hanging out with reporter Heather Hays! I have to say that for a 12 month old Noah did great during the various interviews we were a part of over the last few days (all the pictures on this post are taken during a two day period!) I was so proud of him, and even more proud to be a daddy to this little boy in front of the world! Words can’t express enough how much I love this little boy! Noah rocking his “prime time” smile! Trying to figure out what we were about to say…. I’ve mentioned previously that that before Noah was born pretty much everything I knew about Down syndrome I learned from watching T.V, but I would have never guessed that back when I was watching Life Goes On that a son of my own (that just so happened to have been born with Down syndrome) would be on tv one day himself! It may not seem like he said much, but in the back of mind mind I like to believe that even though he didn’t say any words, he said a lot. I like to believe that even if it was only for 15 minutes he helped get topic of Down syndrome in front of the world. That someone, somewhere who had just received a Down syndrome diagnosis (and possibly even considering abortion) decided to choose life after seeing the massive amount of joy that Noah has brought to our life. I may never know if this really happened, but I know do is there is tremendous power when you and I share our story. If you are a parent of a child with special needs you are the biggest advocate in the world to your family, friends, and local community. As you share with people the unique aspects of your family, you help them exchange inaccurate stereotypes for true ones, and that’s a win! It’s been a long day for this little guy! Here’s our interview with WFAA if you’d like to check it out. And here’s the one with Fox 4. Do you think interviews like these make an impact on our culture? 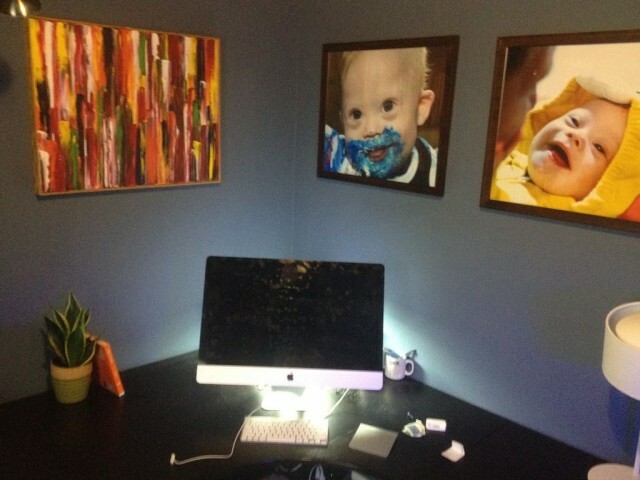 Do you enjoy seeing the media cover stories about people with Down syndrome? 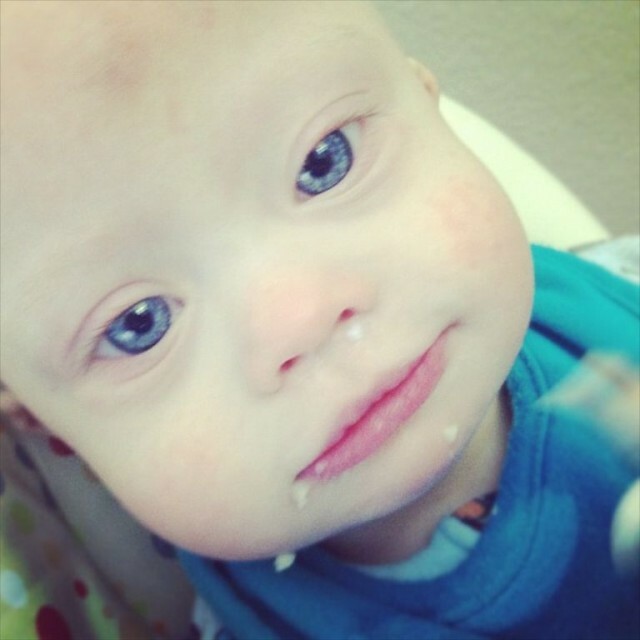 What recent stories have you seen covered in the media about people with Down syndrome? Leave a comment below and tell us about it. I just wanted to take two seconds to thank you for your gorgeous blog. I know Tom (and Gretchen by proxy) from Rock Climbing over the years, and her lovely blog brought me to Kelle’s blog and subsequently yours. The prose with which you guys speak is candid and honest, much more so than bright-happy-everything-is-shiny or the-world-is-horrible blogs of even my non-parent friends and thus I find the blogs of you guys have become my everyday reading. Through visitors eyes of your families an amazing thing has happened, it has made both myself, and my friends, so much more open and accepting of the special needs world. It is now no longer a community we look on with pity and talk in hushed tones about hoping this never ‘happens to us’ as parents, it is a community so filled with love and amazing people, that even as most of my friends and I aren’t parents, we find ourselves donating money and being interested in events and literature…. Wow. Thanks so much for taking the time to leave your comment! That means a ton to us…! We hope our blog can be a voice among the many others that collective helping to show the world that Down syndrome isn’t a curse word. It’s ok to talk about it, to ask questions, to learn. We all share this world therefore we are all in this together. I’m so glad your on this journey with us. Please feel free to comment anytime, and also know you have the freedom to ask any questions you’d like. Seriously. Congrats, you are doing good work! I have years of experience on tv about DS. If you would like to talk sometime I’m available. 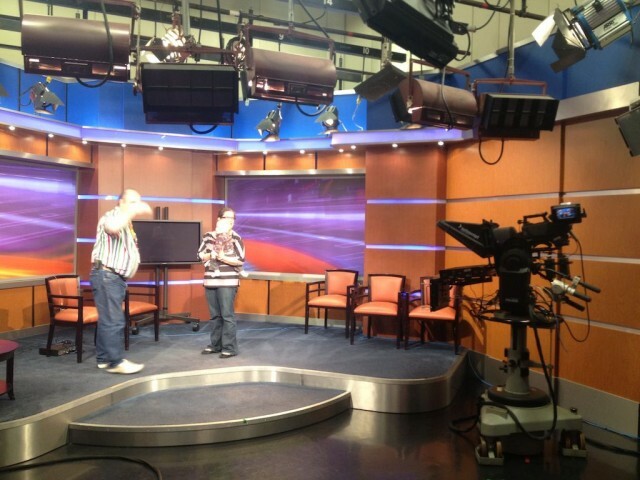 I provide a casting liaison for actors with DS and have been on many talk shows in regards to DS. Let me know if you would like to talk about it sometime. 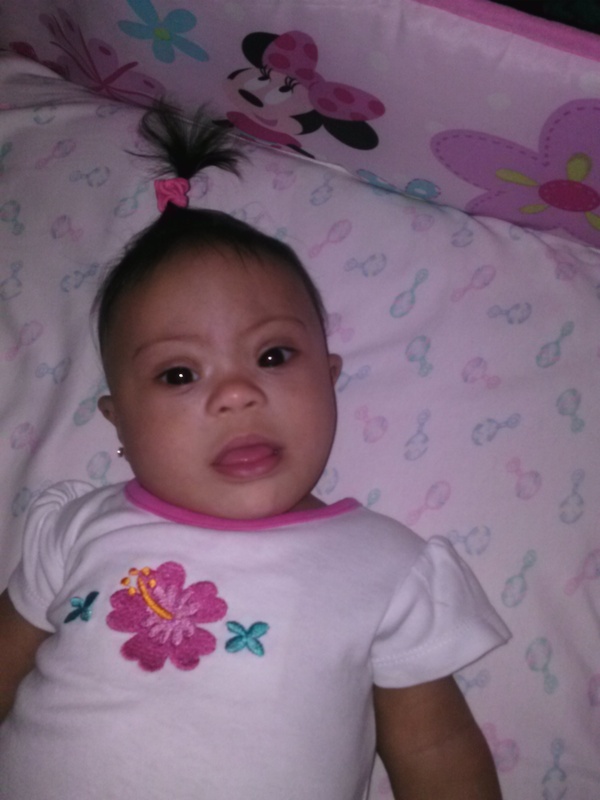 Gail; of Down Syndorme in Arts & Media http://www.DSiAM.org and http://www.facebook.com/actorswithdownsyndrome. What a great job you are doing! 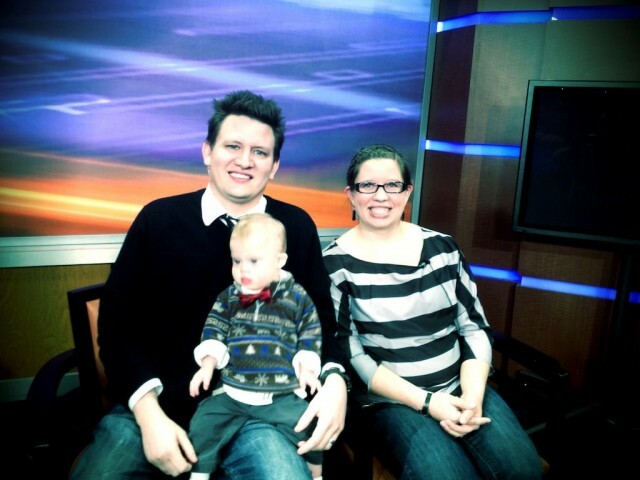 I am a news anchor in Tennessee and also have an 8 month old with DS. If you ever want to chat about TV interviews or anything about media relations, I’d love to help! We are all in this together! That’s cool that you are a news anchor! What city do you guys air in? (I know lots of folks in TN.) How is your 8 month old doing by the way? You have to love media editing. You can talk for 10 minutes and then they edit it down to 10 seconds! I love the photos of Noah going out his therapy business and playing all with a camera in the background. He is ready for reality TV 🙂 Thank you for linking up Ellie’s blog! Ugh! I keep losing internet connection so I hope that this goes through. We are Jackie and Alberto, parents of the beautiful three months old Juan Alberto. We are a christian family in Ecuador and we have been blessed with your blog. We are convinced that DS is ok and we enjoy every second with our baby. God bless you and little Noah and give you the strength to go on in this wonderful website. You gave us the positive page and videos we were looking for… So your mission is acomplished. Wow. Thanks so much for the kind words, and congratulations on the birth of your baby! How is your little doing? How did you guys happen to find out website? I always enjoy hearing how people found us. Thank you very much for the kind words. It’s all God’s doing, we’re just along for the ride! Do you have any children, if so how old? We would like to say that we think Noah is one of the most precious babies, we’ve ever seen, and we love sharing his life with him. We work with people of ALL abilities, and would like to thank you for making Noah a star to show that individuals with disabilities are PEOPLE. They are no different than anyone else! We look forward to watching Noah grow up and learn everything there is to know about the world! Thanks again for allowing this wonderful little boy be such a wonderful advocate for individuals with disabilities! Thanks for the kind and encouraging words. I wish we could voices to all of the wonderful faces we’ve meet through this site! Have a great day! 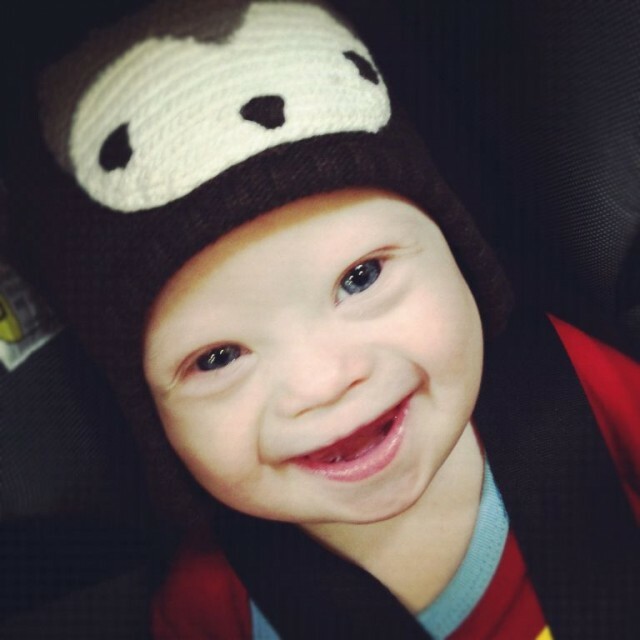 You have a great website, we are parents in Australia to a little DS boy named Finn, he is our first child and we loooovvvee him, he is so adorable, and after doing a lot of research, there are few positive things on the internet about having a child with Down Syndrome. So Thank you.